Hey everyone my name is Willy. 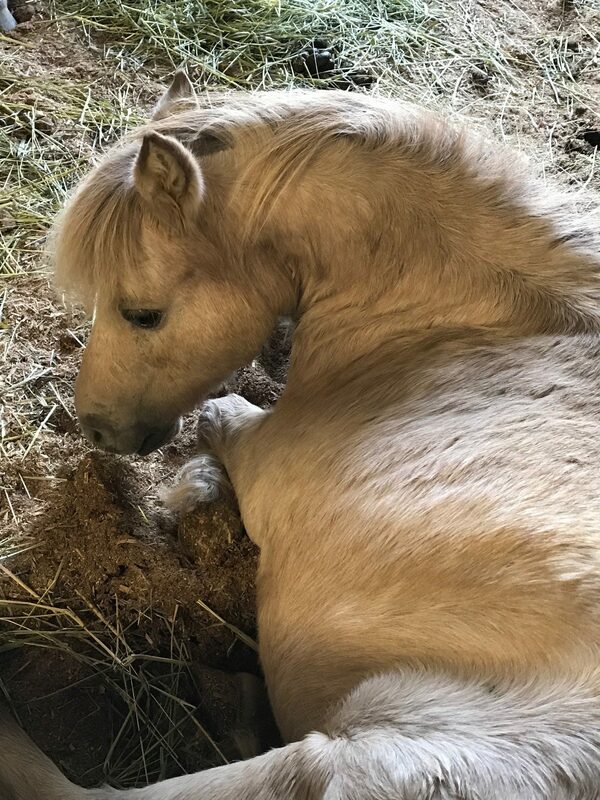 I am a registered dun, 29 inch miniature horse. Yes, 29 inches is pretty small huh? Some of you probably have dogs taller than me. 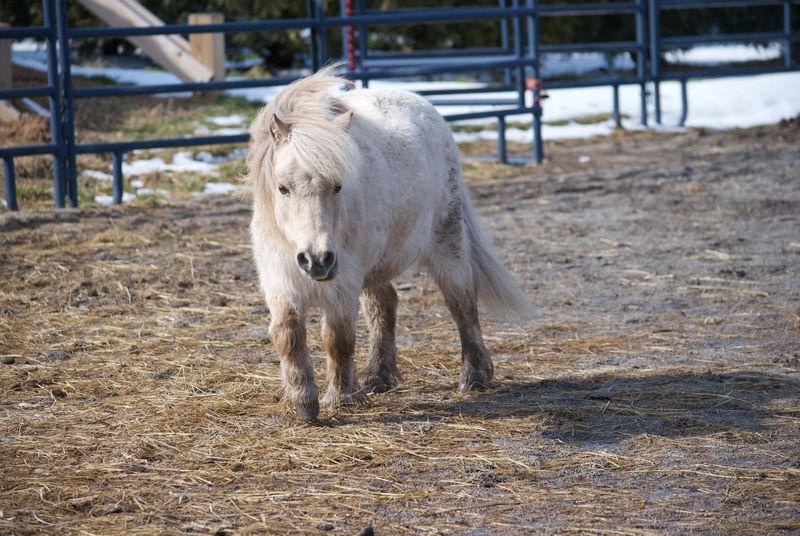 I am registered with the American Miniature Horse Association under the name Square H Watch Me, Willy for short. I was donated by Judy Fishman in February 2010 with my best friend Sonny. In fact, we are like brothers, we have been together since we were very young and we share the same stall. Don’t worry we are both little and the stall is plenty big for us little guys. I was born in 1993 and have had quite a busy life. As a youngster I was shown in hand at the fair and boy did I clean up! It is because I am so cute. After my showing days, I visited a couple nursing homes, participated in a few kids birthday parties, parades and even spent some time in a camp program. While at camp I was injured. I was kicked in the right shoulder by a horse and it dislocated my shoulder, I have healed fine. You should see me race from one end of the arena to the other, can’t even tell I was hurt. However, from time to time after a lot of running you may see me limp a little at the trot. No worries, I get lots of love and attention here in the ground lesson program. I stand like a statue to be groomed and fussed over. I even get to go in the classroom. My talent doesn’t stop there; I have excellent ground manners which make me very easy to lead. And have even made some appearances on TV! I am a perfect little gentleman! I know I will see you all soon, I will be watching for ya!